PSLE Results 2018 Botswana Release Date the exam was conducted 07 October — 14 October 2018. The examination is held once a year (Letter and Composition for English and Setswana in August; all other papers in October). The examination is designed for candidates who have completed seven years of primary education or its equivalent. The Scheme of Examination makes provision for candidates who are studying through informal means, as well as those engaged in full-time education. Candidates must be at least 11 years old when they take the examination, but otherwise, there is no age restriction. The examination is offered in the following subjects: Mathematics, Setswana, English, Social Studies, Science, Agriculture and Religious and Moral Education. The Minister of Education and Skills Development Honourable Dr Pelonomi Venson – Moitoi has authorised the release of the 2018 Standard 7 Primary School Leaving Examination (PSLE) results. A total of 43788 set for the 2014 Primary School Leaving Examination (PSLE). The candidature increased from 43583 in 2012 to 43788 this year representing an increase of 205 or 0.47%. Of this number 22135 were females while 21653 were males. The 2013 results show a credit pass (grades A – C) of 67.58% compared to 2012 results which were at 65.0%. This shows the overall increase of 2.58% in credit pass rate from 2012 results. This increase is due to improvements in overall performance in Mathematics, Science, Social Studies, Religious Education, Agriculture and Moral Education. The best performing districts are North East at 82.6 % and South East at 81.9 %. Although Kgalagadi is still low, it has shown a significant growth in performance. The drop in the level of performance by Jwaneng needs attention. 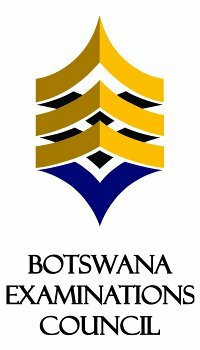 As is normal practice, the details of how to access the results will be provided by Botswana Examinations Council (BEC). The Minister has expressed her gratitude to the BEC Board and staff for the manner in which the 2013 STD VII Examinations were processed. Botswana Examinations Council (BEC) has released the 2014 Primary School Leaving Examinations (PSLE) results. A total of 42797 candidates wrote the 2014 examination showing a reduction in the candidature of 2.26% from the 2013 candidature of 43775. Overall performance indicates that the proportion of candidates obtaining an overall Grade C or better went up by 1.58% from 67.62% in 2013 to 69.20% in 2014. The percentage of candidates obtaining Grade A in this examination is at 14.20% against 12.77% last year representing an increase of 1.43%. Currently, there are 17.35% of candidates at Grade B compared to 17.57% in 2013, representing a slight decrease of 0.22%. At the lower grades, 5.22% of the candidates obtained Grade E compared to 5.81% in 2013, a slight improvement of 0.58%. Compared to 2013 there has been a significant improvement in Agriculture by 2.97% and 3.32% in Mathematics. U denotes that a candidate failed to meet minimum requirements for grade E.
X denotes that a candidate failed to meet the requirements for the award of the qualification. All centres will receive copies of their results delivered at the sub-regional and regional offices through Express Mail Service (EMS). Regional offices will access the results through Malepa System as well as through CDs which will be delivered through EMS. Candidates can access their results through the SMS technology, BEC Website and from their schools. The Primary School Leaving Examination (PSLE) is a criterion-referenced examination that is administered to all learners who have completed the Ministry of Education and Skills Development (MoESD) 7-year primary school programme. PSLE candidates sit examinations in seven subjects, namely: Setswana, English, Mathematics, Science, Social Studies, Agriculture and Religious and Moral Education. PSLE results provide feedback across different levels of the education system in terms of the learner’s achievement of important knowledge and skills within the primary education programme. 0.08% in candidature between 2016 and 2015, and a decrease of 0.57% in candidature between 2015 and 2014. Overall, there is a slight increase of 0.8% in the candidates awarded grades A to C, in 2016 compared to 2015 which is not that significant. Agriculture had the most significant improvement at 6.73%. Females performed better than males across all subjects.